Complete your Official Battle of the Atlantic Coin Collection – Order today and save £22.95! The limited edition coins are all minted to the highest possible proof-quality in 99.9% recovered British WWII silver. Order today – save £22.95! 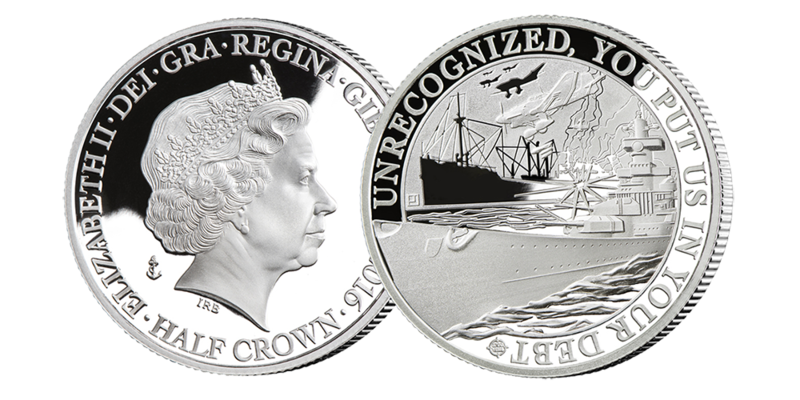 Complete your collection by ordering the ‘Attack from Above’ commemorative coin, depicting an anonymous Merchant Navy vessel being attacked by the Kriegsmarine and the Luftwaffe from Hitler’s Nazi Germany. Normally £49.95, the pure silver coin can be yours today for only £29.95 with free P&P – a total saving of £22.95! You will receive the three remaining coins at monthly intervals, entirely on approval, for only £49.95 (plus £2.95 P&P) each. You may return any coin within 14 days and cancel at any time.